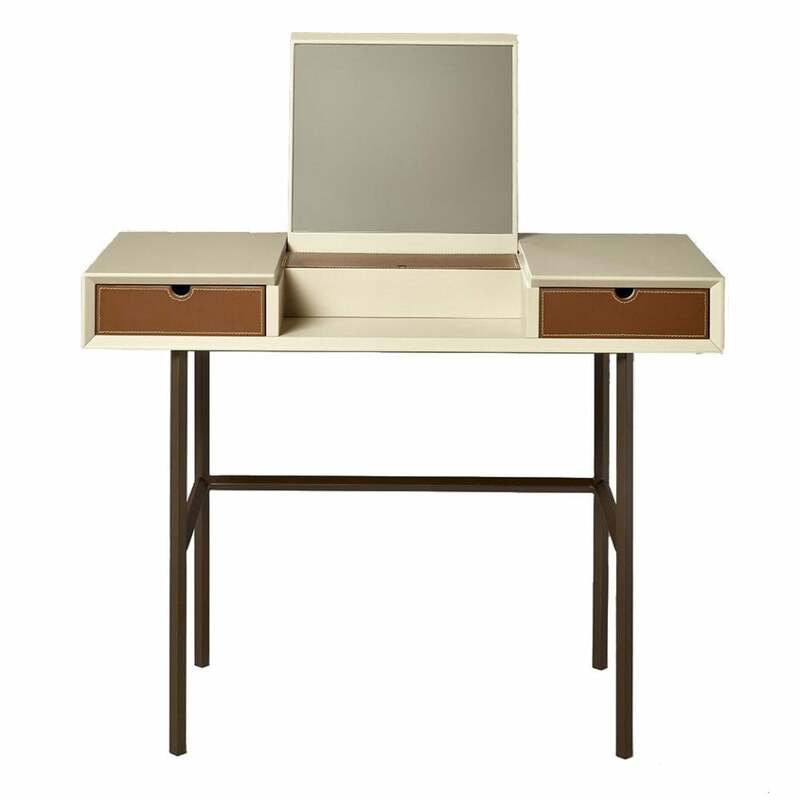 Beautifully made and compact dressing table which features plenty of storage drawers, covered in highest quality hide leather. Complete with a central folding mirror and fold down top. Available in a choice of finishes.